Up -and -coming Pop act, Big Carter aka Original Black man comes through with a new single, Omo Mummy, his first for the year. The record is ably assisted by a long-term associate of Gberatinrin Studios, Bayoz Muzik, who has got a fine reputation on the UK music scene both as a producer and songwriter, working with Giggs, Wretch 32, Moelogo, 2Baba, Ice Prince, Wacka Flocka and Many More. Big Carter is a household name on the music scene in Ibadan already. But he is too talented not to be heard in the entire country and beyond. 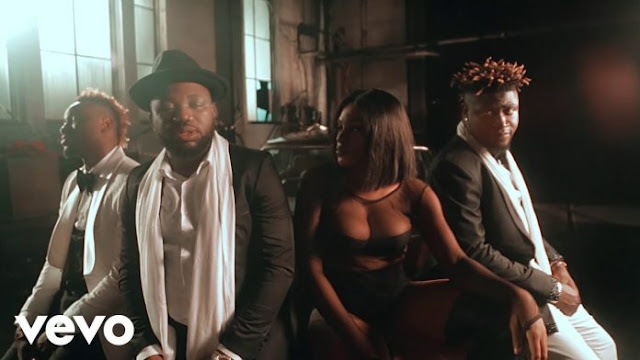 Having introduced himself to the Afropop scene with the release of Kele, Kalo with contributions from Phizzle and the relatively successful Bad Riri, which are all enjoying massive airplay on different Radio Stations like Naija FM, Beat FM, Splash FM, Raypower, and others. The GTS signee is out to prove his mettle as an artist with this joint, carrying on from where he left off blessing Phizzle’s Oluyole warriors off the Passion Project LP with an inspired hook. Omo Mummy is a jam with an adequate amount of feel-good vibe that will get you bumping your head at least, even if you are constrained to burst moves on the dance floor. This record will prove to you why the young Cat needs to be taken seriously and why he deserves a look in. Keep an eye on him, he is the future of Afropop in Nigeria. It is the summer months and you won’t find too many records that are as good as this to be described as a summer jam.